Claire has a common law practice specialising in personal injury and general civil law. Claire has extensive experience in all areas of personal injury law, including industrial and workplace injuries and road traffic accidents. She accepts instructions at all levels and acts for both claimants and defendants. Claire also undertakes a significant volume of advisory work particularly in relation to assessing quantum for general and special damages. Claire has represented both landlords and tenants in commercial and residential disputes from preliminary hearings through to trials and this is an area of growing interest to her. 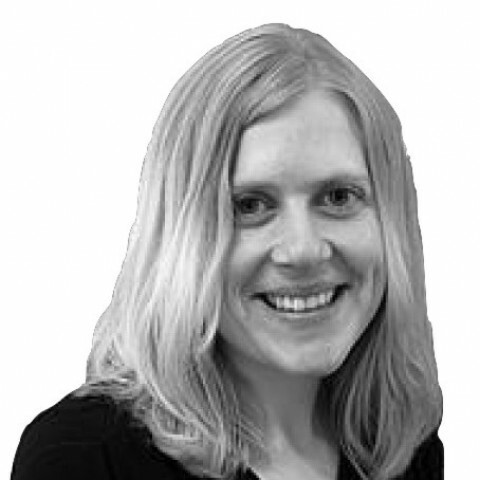 Claire has regular experience of representing claimants and defendants in high value credit hire litigation. In addition Claire’s common law practice includes contract disputes, insolvency, Inheritance Act claims and Trusts of Land Act (TOLATA) cases. Claire is also approved by the Bar Council to accept instructions in Public Access cases. Away from the Bar Claire has also worked as a consultant for a Sector Skills Council. Outside of work Claire enjoys good food and wine and keeping fit. We and our clients are delighted with the result and I would have no hesitation in recommending Claire Clift and Clerksroom in the future. She did really well to get an absolute possession order first time out. Outside of these key areas of law, Claire Clift (2003) is always willing to consider any enquiry requiring the experience or knowledge needed to help you or your client. Please call Claire direct or the support team on 01823 247 247 if you would like to discuss any aspect of this profile. 1. This is a privacy notice which explains how, for what purpose and for how long I will process or retain your personal data in accordance with the General Data Protection Regulation (‘GDPR’). 2. The GDPR is an EU Directive which governs how an individual’s personal data is used, and your rights in relation to that data. 3. I have been instructed by you or your litigation friend, through your solicitor or agent or directly via the direct access scheme. Consequently it might be necessary for me to process your personal data in order to provide certain legal services to you. e) Advising generally on legal issues or evidence. 6. The processing for the purposes listed above will take place in accordance with Article 6(1)(b) GDPR. The processing is necessary to perform a contract to which you are a party (Article 6(1)(b) GDPR). To give effect to that contract (i.e. to bring a claim) it is necessary for me to process your personal data for litigation purposes and to comply with my professional duties as a lawyer. g) Current, past or prospective employers. 8. In some cases I will have been given your personal data that is within the ‘special categories’ of data described in GDPR Article 9(1). For example, personal data that reveals your race, ethnicity, sexual preferences, political or religious beliefs, trade union membership or health. There are also restrictions for processing information regarding criminal convictions. 9. This type of personal data will only be processed where it is necessary in order to represent you in your legal claim or advise you on the prospects of a legal claim. 10. I will retain your personal data for no longer than is necessary, and where it is possible, I will anonymise your data. 11. How long your personal data is kept will depend on a number of factors. Once the service I am providing comes to an end I will review the retention period. The Bar Code of Conduct requires me to keep records of my cases for at least 6 years once concluded and similarly HM Revenue and Customs requires me to retain records for 6 years. d) To refer back to in future cases which raise similar legal, factual, or procedural issues. 13. The processing for the purposes listed in paragraph 12 (b) (c) (d) above, will take place in accordance with Article 6(1)(f) GDPR. That is, for the purposes of legitimate interests that are not outweighed by your interests or fundamental rights and freedoms. 14. The processing for the purposes listed in paragraph 12 (a) above, will take place in accordance with Article 6(1)(c) GDPR. That is, the processing is necessary for me to comply with a legal obligation. 15. Where processing of your personal data was based on your consent you have the right to withdraw that consent at any time. This does not affect the lawfulness of the processing based on consent before its withdrawal. 16. Withdrawal of your consent to process such data will most likely mean that I am no longer able to provide you with the legal services you seek. 17. You may request confirmation that your personal data is being processed by me and details about the personal data, the source, the processing, the purposes of the processing, the recipients and the retention period. 18. You may request a copy of your personal data that is being processed by me. You may also request rectification (i.e. correction) where there are inaccuracies in the personal data. 19. You have the right to object, on grounds relating to your particular situation, at any time, to the processing of your personal data in line with paragraph 12. Should you object, the processing will only continue where there are compelling legitimate grounds for the processing which override your fundamental rights, freedoms and interests. 20. Where the processing or retention of your data is necessary for the establishment, exercise or defence of legal claims, it will not be possible to object. e) The personal data have to be erased to comply with a legal obligation. 22. You have the right to request that your personal data is restricted from processing, so that it is simply stored, for the following reasons: as an alternative to deletion; so that it can be corrected; for the establishment, exercise or defence of legal claims; to verify if a legitimate ground exists (paragraph 14). 23. Where it is necessary to correct your personal data, or you have requested the restriction or erasure of your personal data, I shall endeavour to contact the recipients of the personal data, unless this involves disproportionate effort. 24. I take appropriate physical and technical measures to safeguard your personal data to prevent it from being accidentally lost, used or accessed in an unauthorised way. The I.T. systems used by me at Clerksroom are ISO27001 compliant. 25. If you have any questions regarding this privacy notice, or how I use your personal data please email me: clift@clerksroom.com, or my clerks: mail@clerksroom telephone 01823 247 247. 26. I shall aim to respond as soon as possible, and within 30 days.